If you love giving meaningful gifts to loved ones at the holidays, you really need to check out the Artisans Open Market page on Facebook. It was started by my friend Nikki Rogalski of Bastille Bleu Lampwork and so far has been a huge hit! 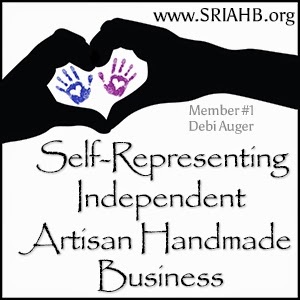 It's an online Open Market for artisans of handcrafted glass, jewelry and metal arts/jewelry to share and sell their wares with those who appreciate, search for, and purchase unique handcrafted items; making it easy for you to buy, sell, and give the gift of handmade! There are shows scheduled every day through December 23rd and, after a short break for Christmas, they will resume on the 26th. It has been going so well that Nikki is planning to continue scheduling weekend shows after the holidays and, if things continue to thrive, more dates will open up and quite likely more varieties of handcrafts will be showcased, too. 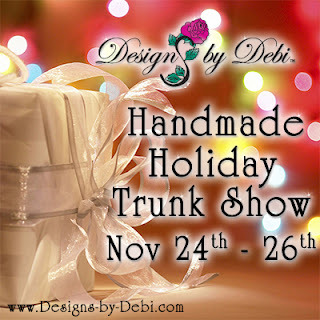 I'm hosting my Trunk Show there this weekend... from Small Business Saturday 11/24 until Cyber Monday at 11pm. I have over 150 items in my show!! I'm running it in an auction format so there are Buy Now and Starting Bid prices listed. The starting bid prices are at least 50% off retail so you can get great deals on beautiful gifts. I'm planning a huge relocation in 2013 and I have to do inventory reduction so I decided to do it now and save you money on your holiday shopping! I hope you'll stop by and please share the event with your friends and family. Thank you!